The Nippy inflatable seat bag is covered in Gould’s book and pictures are elsewhere on this site. The inflatable bags degrade and 2016 prices were over £120 per seat bladder. Many Nippys have been ‘Rubified’ over the years due to lack of available original parts. 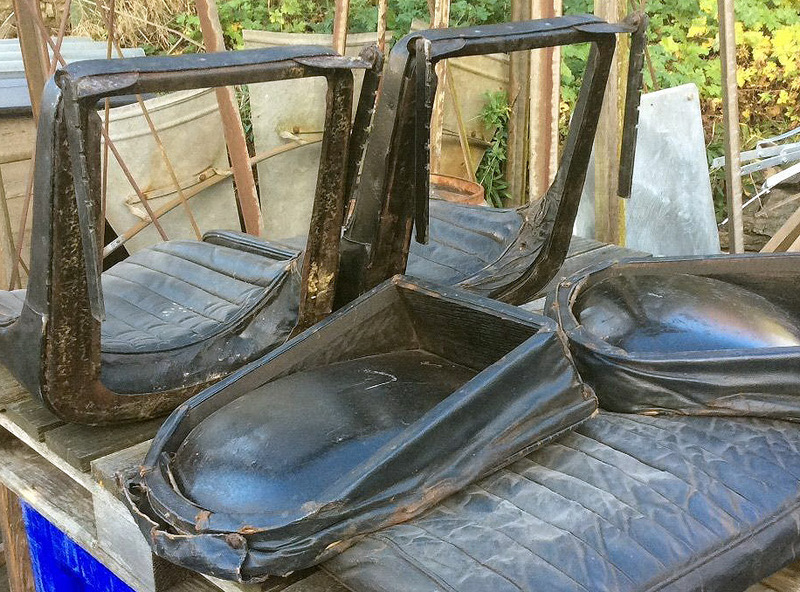 Seat bases from Rubies and Box saloons are present on Nippies and we cannot wholly disprove that later cars could have had stock items introduced into the Nippy specification, just like its availability with the standard Ruby engine. 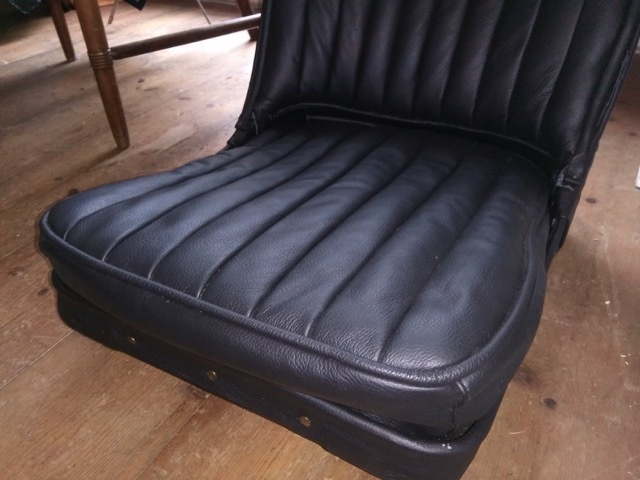 The disadvantage with the later seat bases having an obvious sculpted form under any cushioning is that they make driver and passenger sit higher in the car – for taller people, possibly not through the windscreen, but over it. 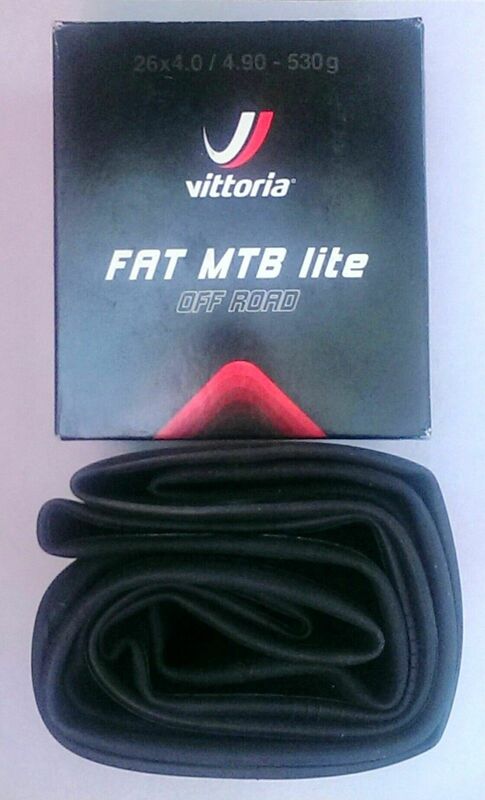 For reproducing a bag, a “Fatty 4.0-4.9” mountain bike tyre’s inner tube, secured as per the diagram in Gould’s book with a first retaining band using an 1” section of Austin inner tube (so it stretches), and the second a flat band glued to enable the other gathering of the tubes. These were less than £15 delivered for a pair. To deal with the seat hinge bolts we use roofing bolts and stuck rubber over them to avoid having to have another layer in there. 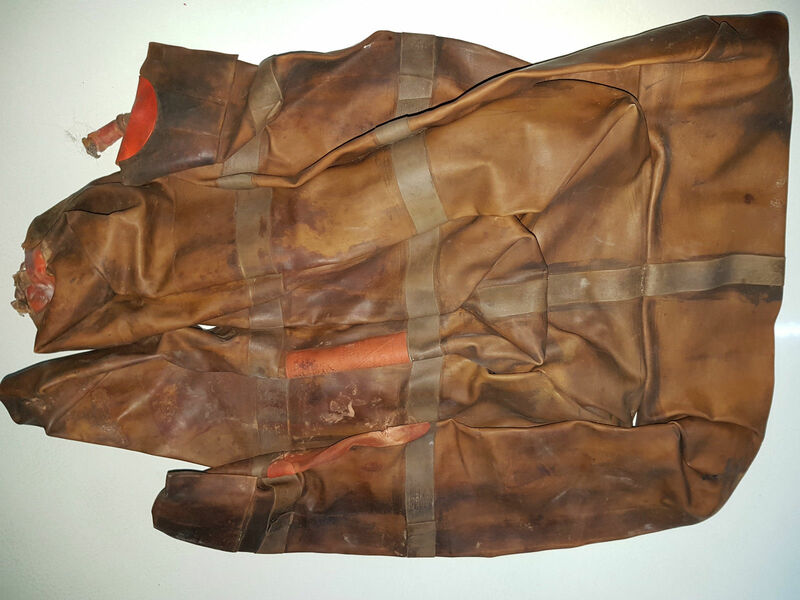 Rubber patches were also stuck over the splayed rivet ends from the upholstery. 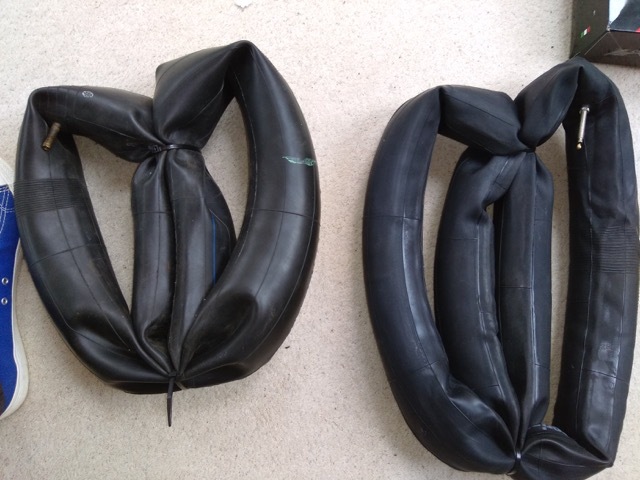 Harry Fox has been working on exactly the same ideas, including the trial of some double ended inner tubes. 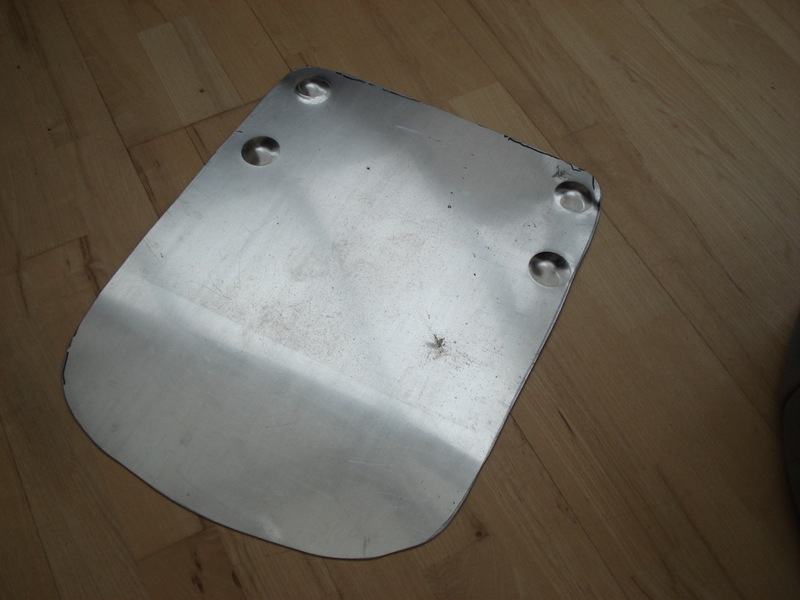 He has adopted a plan of making the seat baseplate – protecting the bag from the floorpan and the bolts attaching seat frame to the runners – integral to the seat bag, by bonding the seat cover material to a 16 gauge alloy sheet (below) much the same in appearance to the steel baseplate seen elsewhere. Both routes give a method of getting you several inches lower into the car, for a bit of time and not much money. 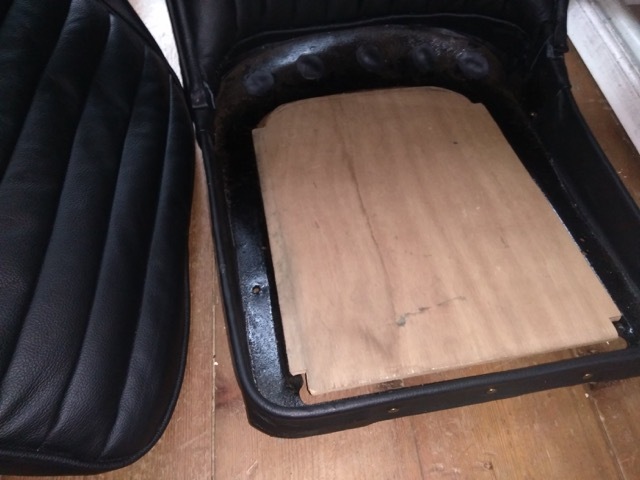 I have an original seat bottom that was stuffed with what I believe is horse hair, Not recommended! I had an empty cushion made up and got an inflatable inner off eBay some years ago. I now use a 1 1/2 inch memory foam cushion from Amazon. It nearly doubles the range I can drive before the tears cloud my vision.